songs by the tumbled sea « AFTER THE POP ! another thanksgiving rolls by. honestly, i think i am still in the process of redefining this holiday for myself. that actually seems a strange sentence because when i am alone i don’t have any issues with thanksgiving. but when i am with other people, including my close friends and family, i find that thanksgiving hurts. it hurts to be around then, kinda like walking on broken glass. not sure quite how it happens, since all my intentions are well-meaning, but just when the turkey is laid out on the table is just when my veneer starts to crack and i begin to crumble. luckily, this is only one day out of the year. my habit with this blog has become to dissect my feelings, hold bits and pieces up to the light, and try to examine them. perhaps i have felt some primal need to protect my feelings. however, in that process, i think that the fun and the happenstance of this activity has vanished. as i sit here at my laptop on the saturday after thanksgiving 2012, i realize that i want to change some things even more. i slept for about 18 hours on friday, backed out of getting together with good friends, and tended to those ancient wounded feelings in the same way i have done since i can remember-(without getting high, of course)…. isolation. for me, being alone has layers. it feels safe, it feels protected at first, but as it settles is causes inertia, it seems stifling, it feels toxic. and the end of the run of isolation- very much like the end of a binge in my memory- is much like hell. and why i forget how these bits end like this is beyond me. i’m sure it’s fear. on thursday, i had planned on going to an lgbt sober potluck, but as the time neared and i thought about who might be there, i was infiltrated with feelings i would have if i ran into so and so. god- this seems so much like my elementary and high school days it is sad. yet i cower at having to open that can of worms. later that day, my cousin and her 2 kids had planned on coming to my house, but she texted an hour prior to arrival, cancelling. maybe i am not alone in this- maybe it has something to do with genetics and not simply my state of grounded-ness. yuk. eehgaaahd. its all so very tiresome. so my intention is to STOP THE MADNESS!!!. i do however not have any false hopes that one decision will change the course of 8 years sober. matter-of-factly it’s taken 8 years to get a clear snapshot of what’s really happening. and i am not convinced the image is really that clear yet. thanksgiving is mostly about ritual, family, getting centered. or at least that’s what i have heard it’s about. it definitely has those elements for me, but it encompasses some other things as well- among them reflection, and of course, shame and trauma. outside of those rather large items though, is the family part. and in keeping with the family thing- i have posted a pic of some tongue wrenching- lard-tasting potato chips that have been made in farmington illinois since i was a young boy. 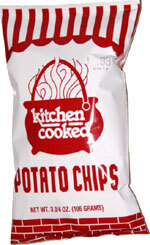 they were the potato chips of my youth, and still represent home to me. i just ordered a case to send to my aunts and uncles at their holiday get-together in arizona. they share the same memories of these chips as well as sharing so many memories and histories of many other aspects of our lives as well. how i feel about myself started developing while i was still young during my years with my family. as i listened in the kitchen of my youth to the stories being told about dreams, life, work, love- i came to an understanding that how i felt about those things was somewhat different. it was different enough for me to know instinctively that i should not discuss how i really felt. i was sure i was a freak and i was afraid at what everyone would think or say if they knew who i really was and how i really felt. of course- that’s all behind me now, but i do find that around this holiday that centers on food and cooking, i revert to those skills that were formed so early in my life. luckily, i get to remember i am not that boy in the kitchen any longer. i started there, but i have moved on- not as quickly as everyone else, but at the pace i can hold. this thanksgiving i got to have those feelings again, have those memories of harder times, and have some of those kitchen cooked potato chips. and they made my life feel hella bigger and richer. i am really learning to appreciate all the nuances and flavors in this feast we call living. it is bitter sometimes. it can be abrupt. it can be mellow and yellow and smooth. it’s cold and it’s not. it warm and it’s hot. it’s green and fresh and it’s browned and fried. the experience doesn’t have to be the “best” ever to be worthwhile. 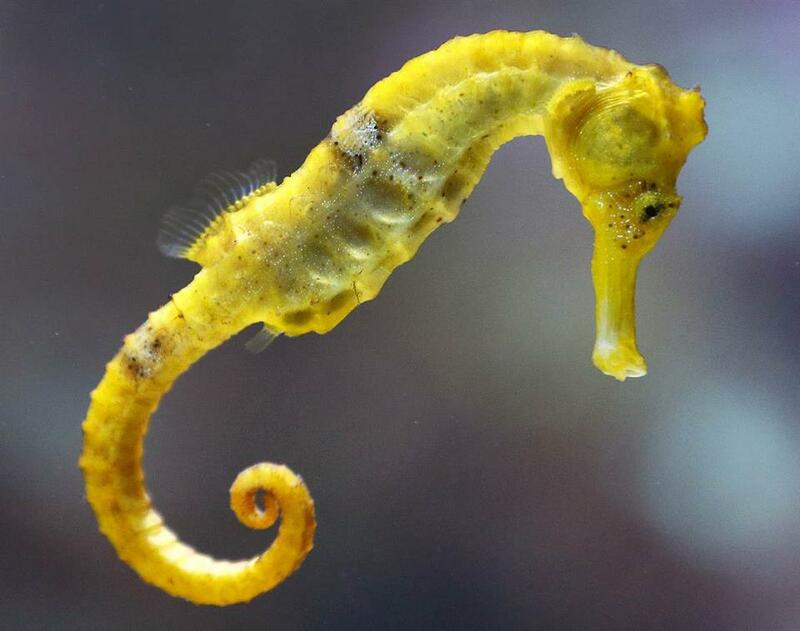 This entry was posted in 2nd stage sobriety, life on life's terms, michael probst, recovery, seahorse, songs by the tumbled sea. Over the last 11 years, I have been part of/heard of/watched people agonize over the holidays. Watching sober people agonize over the holidays is very painful, because of all the feelings and emotions wrapped up in who we were/are/coming to be. It's difficult being in between isolation/and/being part of. I knew a woman who agonized so badly about her family and having to negotiate the holiday that I finally got the balls up to say to her that if agony was better than going to a holiday meal, then you can either drink over it/deal with it/or Not Go At All. that she was a big girl and she did not owe anyone an apology if she decided not to go… She was flying over seas for Christmas that year. She got so angry at me for telling the truth as I saw it that she never returned to our meeting after that. You've been in this emotional state before. Because you dredge up some of the same words you have used before. Sobriety is supposed to bring us clarity and freedom. That once we re-appropriate the holidays from what they were to what they are today, we can better mediate our feelings and emotions. But that takes time. If you are worried about people you are going to see, it may come as a surprise to learn maybe, just now little others think about us. The fear you speak about because of who you might see at any given event brings you pause, do you honestly think that others sit and obsess over your possible attendance? Were you making a mountain out of a mole hill? Or are there very present issues with them that would take you down the path you walked? The past informs our present and builds for the future. I encourage you to step out of your comfort zone and be a part of the holidays. Take two is just weeks away, so you have a fair amount of time to engage. Don't go isolate and hide inside your fears, because that would be a terrible waste of sober living. You are better than the fear and sadness that engulf you. Do make an effort. I would hate to read here that nothing I said to you here made an impact on how you celebrate Christmas. happy holidays jeremy… thank you for your supportive words..